AnonD-45867, 16 Mar 2012Hi bsp, Asha 302 is not a dual sim phone.dear this is dul sim phone set. I have this phone. Very good, but no multitask. Opera Mini 6.5 run great and the system is very quick in all tasks, only in the photos view in the SD card… Very great sound from loudspeaker and jack output. 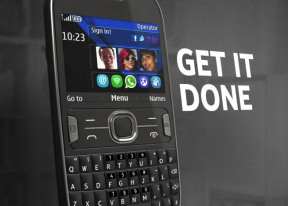 The Construction is not so solid as the Nokia E5 or E72. But a good phone for all use. Is this mobile is upgradeable? means can we update/reinstall its software from Nokia Software Updater. i so love this phone.. it caters my need for communication and social networks.. This is a great phone of nokia in simple. Outstanding set.....i'v buy this....hv good experience...with new software...enjoyable....!! bsp, 16 Mar 2012is asha 302 is dual sim mobile....pls frns inform....Hi bsp, Asha 302 is not a dual sim phone. hows camera?? better than asha 303?? plz tell me..
Not a very perfect device or multi tasking is ........... !!!!!!!!!! Yes it has screen protector. Dust will not get inside the screen. Yes this cell phone has conversation SMS view, or threaded SMS view. Does it support threaded SMS view? Does the screen prone to dust particles? I mean, if dust will get inside the phone screen..
And another thing, to all who bought this phone already, does this already have a screen protector on it? This cell phone is available in the market. Its metallic body will not peel off. We can't do multi task at a time, for example we can't use Opera mini with Facebook Chat. This cell phone is far more better compare to ASHA 200, related to performance and price. This cell phone is fantastic and i give 9/10 to it.